Meet your matte match with the Benefit POREfessional range of shine absorbing and pore-diminishing makeup and skincare. 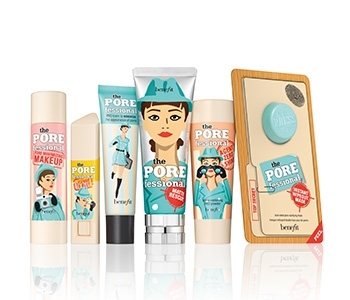 Created with the end goal in mind of keeping your skin flawless, pore-less and airbrushed, Benefit’s the POREfessional range of anti-shine products are a must-have for those that have to put up with on oily t-zone and the build-up of excess oils. Wondering where to start? Try the award-winning the POREfessional Face Primer, your skin will thank you later!